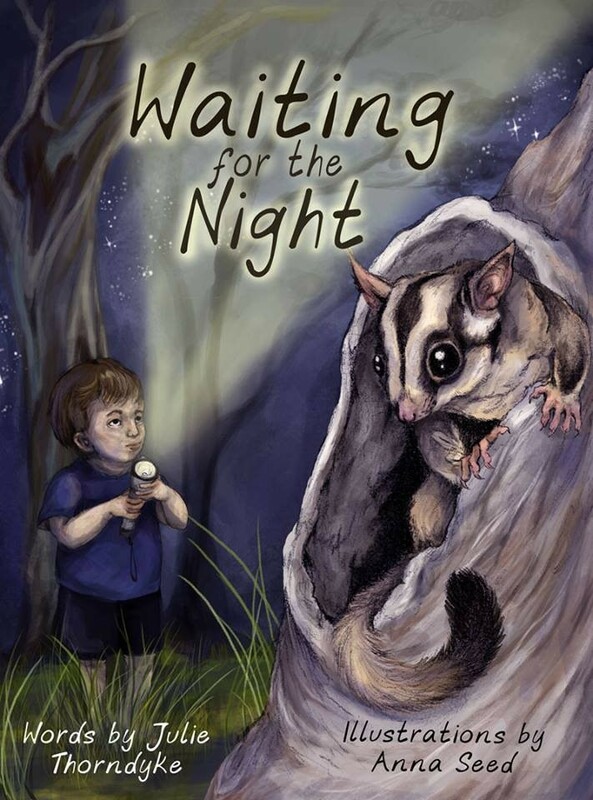 ‘Magic comes at night’ for Australia’s many nocturnal creatures. As dusk falls across the landscape, animals and birds await the cover of darkness before stirring from their slumber. The flying fox clings to the branch, ‘wrapped in soft wings’, while possums are curled up ‘well out of sight’. Torch in hand, a little boy sees the night come to life as eyes twinkle at him from every direction. 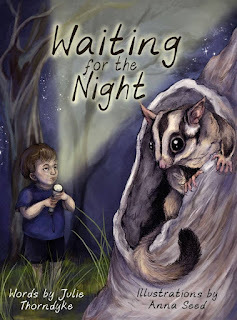 Waiting for the Night is a gentle rhyming story for children aged eight and under. With tranquil text that reflects the dreamy nature of the creatures before the sun goes down, this is an ideal book for bedtime reading. Julie Thorndyke beautifully blends real-life observations of Australian native animals and birds with captivating imagery, ensuring that her characters are authentic yet appealing. Anna Seed’s full-spread colour illustrations support and augment the text admirably. From the olive green of bush foliage and the vibrant red of the Sturt’s desert pea to the stunning oranges streaking across the background at sunset, Anna has expertly captured the unique tones of various Australian environments. Her subtle change in sky colour from image to image as day becomes night is superb, while her renditions of fauna successfully tread the fine line between realism and idealism. The pairing of simple, rhythmical text and calm illustrations makes this book the perfect choice for reading aloud to youngsters before they go to sleep. As they drift off, children are sure to enjoy pleasant dreams about the countless charming creatures that are ‘waiting for the night’.